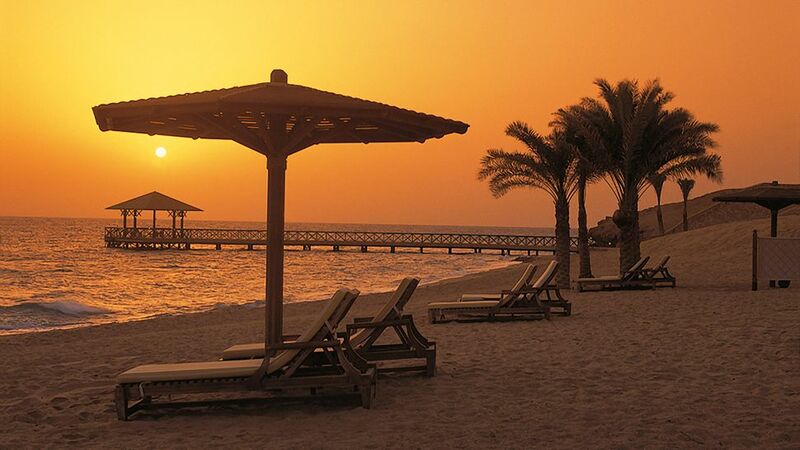 Egypts Red Sea Coast has become one of the worlds most popular holiday destinations. From the glitterati to the busloads of tourists visiting Egypts famed historical treasures each year, all of them must visit one of the famous resorts and stay at the fabulous hotels that adorn this beautiful coastline. Every single hotel in this place lives up to an international standard of service and comfort. The famed Oberoi impeccable service, their unmatched luxury and above all, a commitment towards making their visitors feel special is just part and parcel of their hotel at Hurghada. The weather is perfect, the hotel has traditional dcor with modern amenities, and the sea is so blue and inviting. 400 metres off pristine beach, one of Soma Bays best dive centres, a large outdoor pool and a lazy river.With amenities such as these, it is not a surprise that the Kempinski Hotel is one of the most sought after hotels on the Red Sea coast. There are over 300 rooms and suites, and the large sprawling hotel complex is so well appointed that you may never want to leave. Along with Hurghada, Sharm El Sheikh is one of the most well-known resort towns on the Red Sea Coast, and here The Grand Hotel lives up to its name. The cliff top location of this hotel gives a magnificent view of Tiran Island. Eight free-form swimming schools, a private jetty and five superb restaurants, along with five excellent bars are among some of the amenities which make this a standout hotel. With a name like that, how can it not be a stylish hotel? 250 rooms and suites, which overlook the sea and the golf course, are built in colonial style, with many excellent specialised restaurants. The hotel has received several awards for its excellence and quality of service in the past. The stunning architecture of this hotel has been inspired by Luxors Karnak temple. The hotel is located on over 800 metres of beachfront, and it boasts some of the best restaurants in the region. From snorkelling to golfing, there is enough activity available here to keep you truly busy and happy. Traditional Egyptian hospitality in a unique Swahili type-setting, this five-star hotel offers a peaceful setting in one of Egypt’s most beautiful coastal towns. The green gardens, the majestic mountains in the background and the unforgettable blue of the sea make this an idyllic setting. Another famous hotel inSharm El Sheikh, The Ritz Carlton is renowned for its superb service and many facilities available in the hotel. Large gardens, well-decorated rooms, and one of the best spas in the area are some of the assets of this hotel. With large rooms and a wide expanse of gardens and swimming pools, Palm Royale in Hurghada is a favourite among honeymooners. It is a truly memorable hotel and the traditional Egyptian hospitality is evident at every step. Formerly the Sofitel, this is a hotel where families are welcome and they are assured of a happy and comfortable stay. The hotel is very child-friendly and it combines five-star luxury with an emphasis on comfort. Smaller than the other five-star hotels, this hotel maintains its unique identity by offering some tremendous service in a beautifully designed hotel. The rooms and suites are very large, and the surroundings are quite a charm.